When two of music’s most elite artists start spending a bunch of time together, the world takes notice—and such was the case after Taylor Swift and Drake were seen getting super flirtatious at the latter’s birthday bash earlier in October. While there, Drake introduced T-Swift to his mom and the rest of his close pals, reportedly giving her the "VIP treatment." 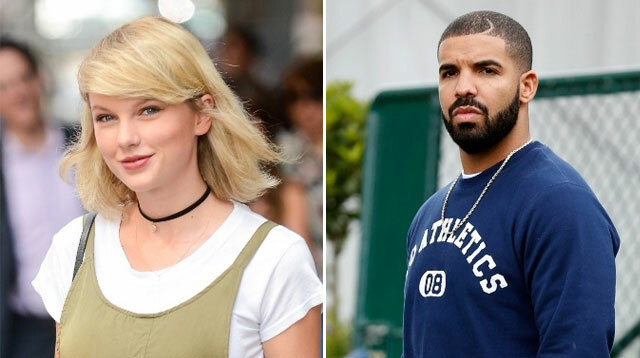 This caused many to wonder if the pair might be casually dating, but according to Page Six, the reason T-Swift and Drizzy have been hanging out lately is actually because they’re working on new music together. “They’ve been in the studio collaborating,” a source told Page Six. As Mashable points out, the pair have been friendly since at least the 2013 VMAs, so it makes sense that they might eventually decide to collaborate on a track or two. With the exception of a cryptic Instagram comment and the possibility that Drake and Taylor are hooking up to make their exes (and "This Is What You Came For" collaborators) Rihanna and Calvin Harris jealous, it seems the love between these two remains platonic and professional—at least, for now.